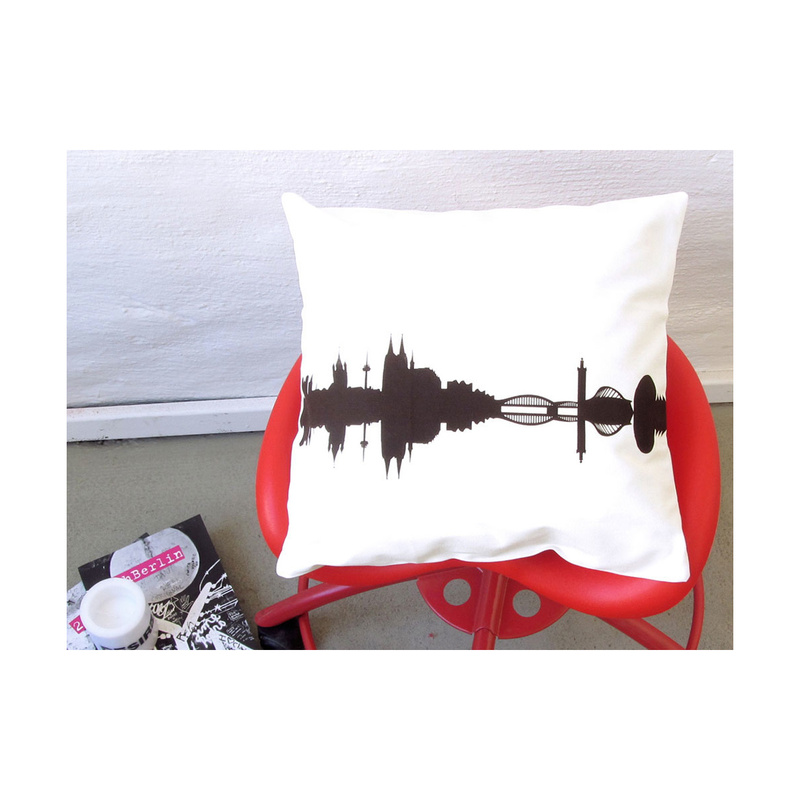 COLOGNE CUSHION – Give your home interior an injection of urban cool. 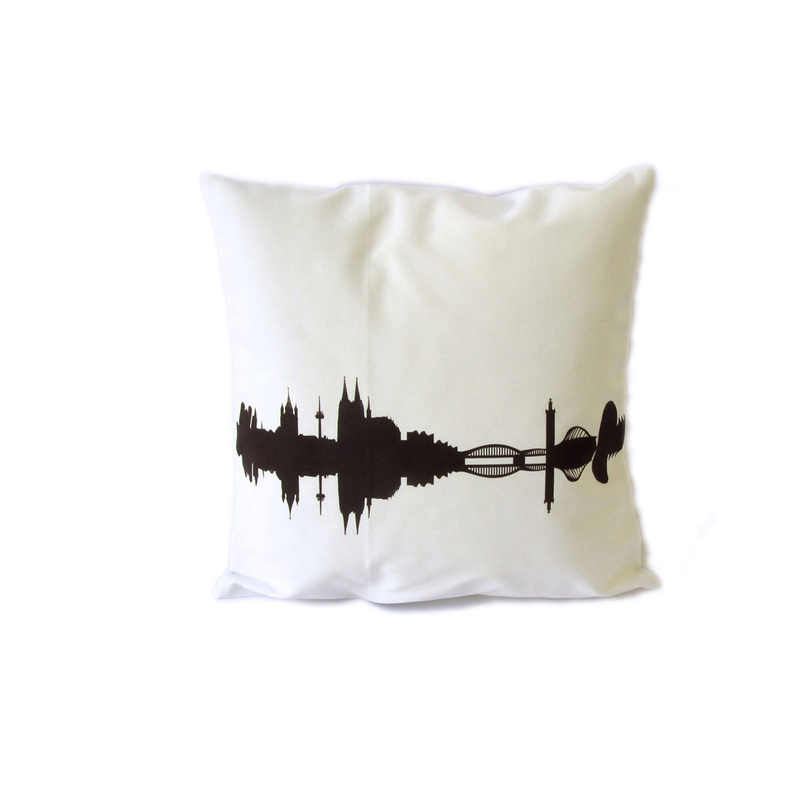 These decorative cushions are for anyone who just wants to hug the whole world. Around the clock, day and night. They will be the focus of attention on your sofa, bed or wherever else you might want to sit and snuggle up. 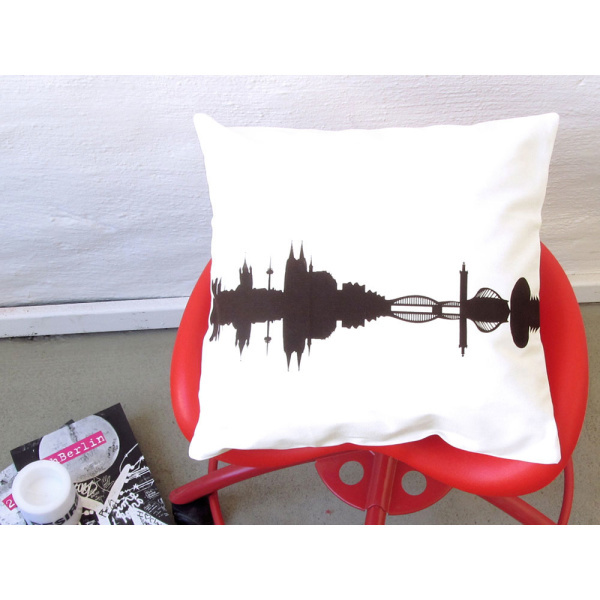 The cushion cover is hand screen printed with a delicious chocolate brown print. 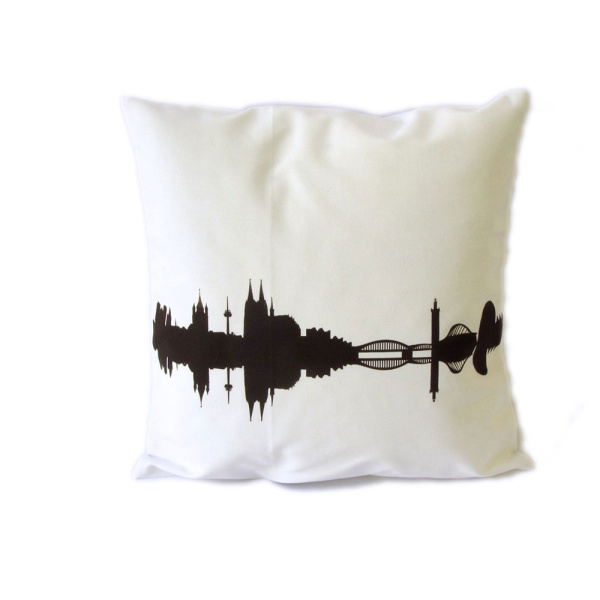 It's eye catching design features a reflective view of the city skyline on the front, and includes some of the most famous architectural landmarks. Comes without filling! Perfect housewarming gift for urban nomads, globetrotter as well as friends who have left and friends who stayed back home…to remember and against disremembering…and of course for your own pleasure.